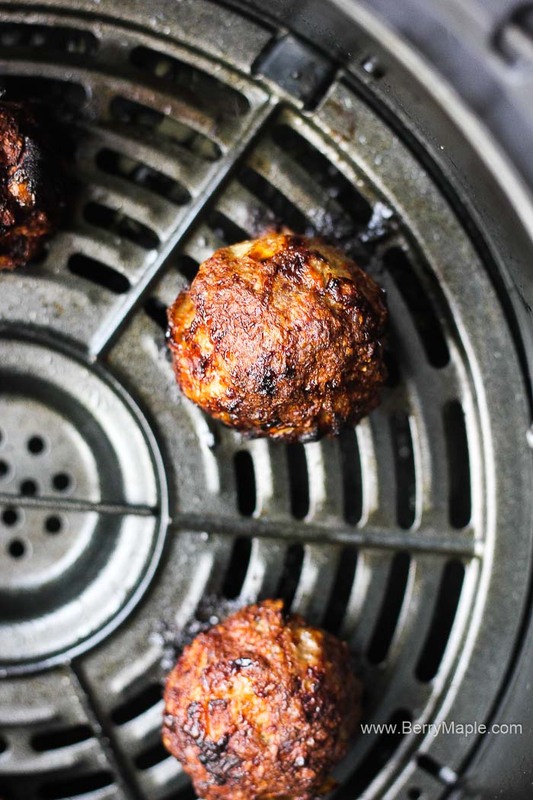 Juicy healthy ground beef air fryer meatballs. 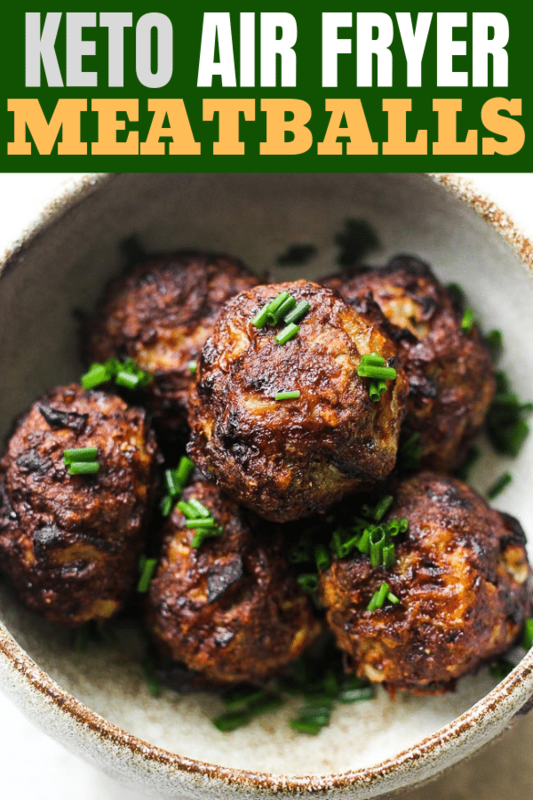 Use them as an appetizer, try them as a main dish (pair up with some Air fryer french fries ) or just cook this little meatballs for your kids, they love it! You can use chicken or turkey in this recipe too. Meal prep and lunch box ready. You can make this meatballs from fresh and also you can freeze them for later use. If you want to precook a batch a freeze it for later , that’s a great idea. I usually make the whole recipe and then we eat only one batch, and the rest is going to the freezer. Make sure to freeze meatballs in the air tight bag and try to lay them down as flat as possible to prevent from sticking together. 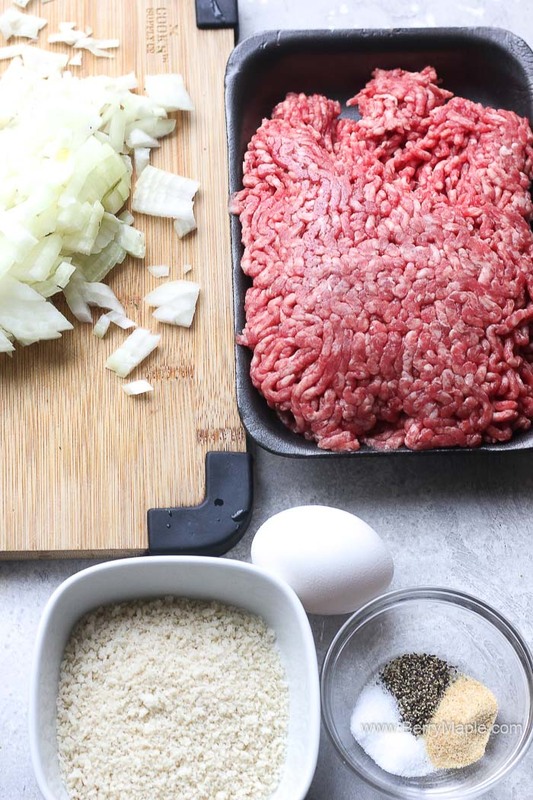 Should i make ground turkey or beef meatballs? This recipe is made with a ground beef. To achieve more delicate flavor you can mix the meat with some ground turkey or chicken. Turkey meatballs are leaner and lower in calories. You can adjust this recipe easily for any type of meat. Its very easy to make this recipe keto friendly. Just don’t add any panko crumbs. It will not affect the flavor so feel free to do that if you want or need to. 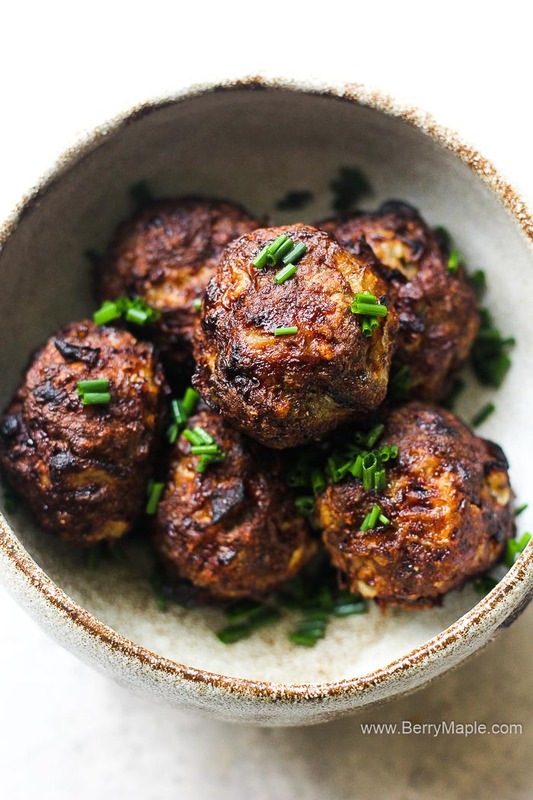 These air fryer meatballs are a wonderful meal prep or a lunch box idea. Easy to make and healthy lunch for your kids to take to school. You can also make a sandwich with this meatballs or just put them in the bow with some Air Fryer loaded baked potato or Air fryer corn on the cob. Hope you will like the recipe. Be a part of a new growing community of air fryer lovers. I just started a new Facebook group, where i will post only best, trusted recipes from my site and my friends blogs. Be the first to get new recipes! 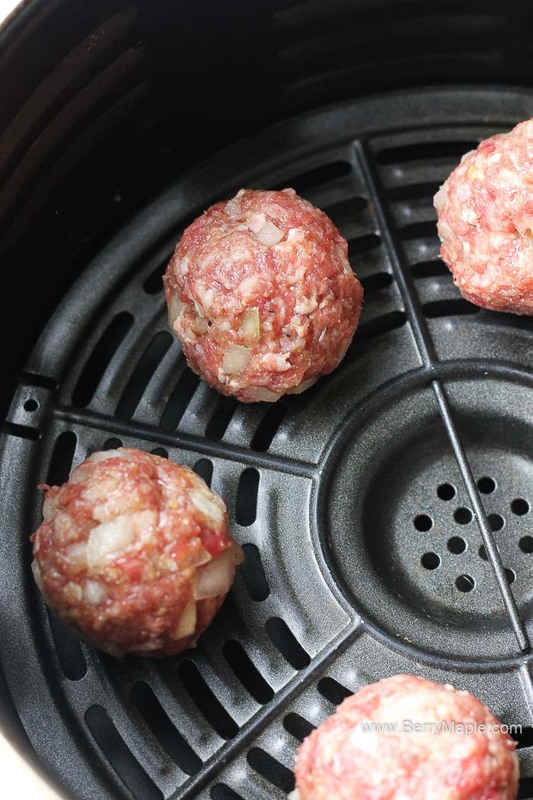 Juicy healthy ground beef air fryer meatballs. 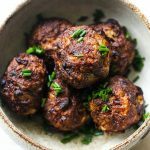 Use them as an appetizer, try them as a main dish (pair up with some Air fryer french fries ) or just cook this little meatballs for your kids, they love it! Mix all the ingredients together in the medium size bowl.